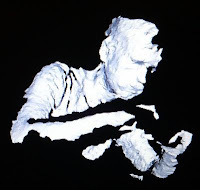 I want to test the PCL performance for realtime 3D visualization and processing of data captured from a Kinect. The installation of the library is straightforward under Ubuntu. After playing a while with the examples provided, I started to apply some filters. First, a voxel-grid to downsample the raw cloud form 302700 to about 60000, then a crop-box to exclude the farthest points. The resulting cloud had about 4000 points, corresponding to a person's upper body. 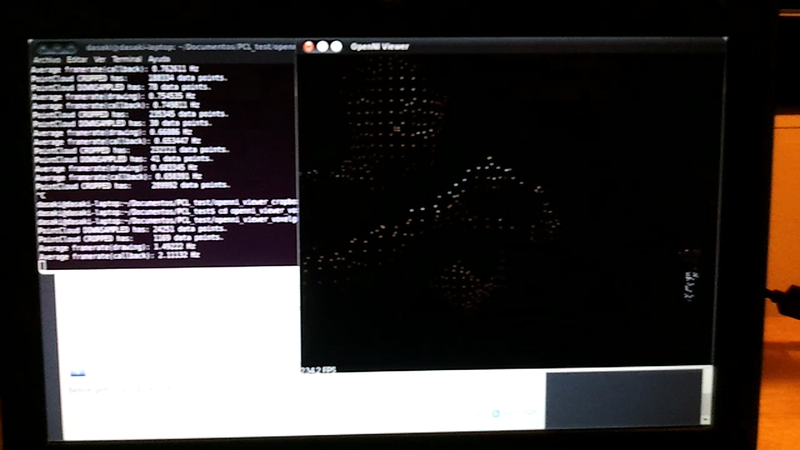 Then I applied the Fast triangulation for unordered point clouds included in PCL. The result is quite good and the performance is not as bad as it looks, as the machine was my atom netbook. Also, the algorithm is for unordered clouds, that doesn't take the advantage of the Kinects x-y ordered point grid. Great work!!! Did you use updatepolygonmesh() for visualization? Cooler Pandaboard with newer kernels?